With talk of a Floyd Mayweather-Khabib Numragomedov fight making the rounds, UFC president Dana White has made it clear that he’s in no mood for a rehash of Mayweather’s 2017 novelty superfight with UFC star Conor McGregor. “Listen,” White told TMZ, “if Mayweather wants to fight, come fight. You fight in the UFC. We’re not boxing him. We did that once. That’s over.” Although McGregor looked decent enough for his much hyped fight with Mayweather, the longtime pound for pound great ended up making easy work of the MMA star. Now that Khabib himself has bested McGregor – in McGregor’s home sport, no less, it’s obvious White isn’t going to withstand another of his top UFC fighters bucking the odds the way McGregor did when he temporarily switched sports over a year ago. “You want to fight,” White reiterated, “you come fight . A real fight.” White’s words echoed McGregor’s own sentiments about boxing in the leadup to the Mayweather match, when the Irishman referred to boxing as half a fight. As TMZ states: “UFC welterweight champ Tyron Woodley has offered to personally train Floyd and said he truly believes the 41-year-old could have real success in the Octagon.” While that may be true, Mayweather has a reputation – fair or not – of stacking the odds in his favor before a major bout. 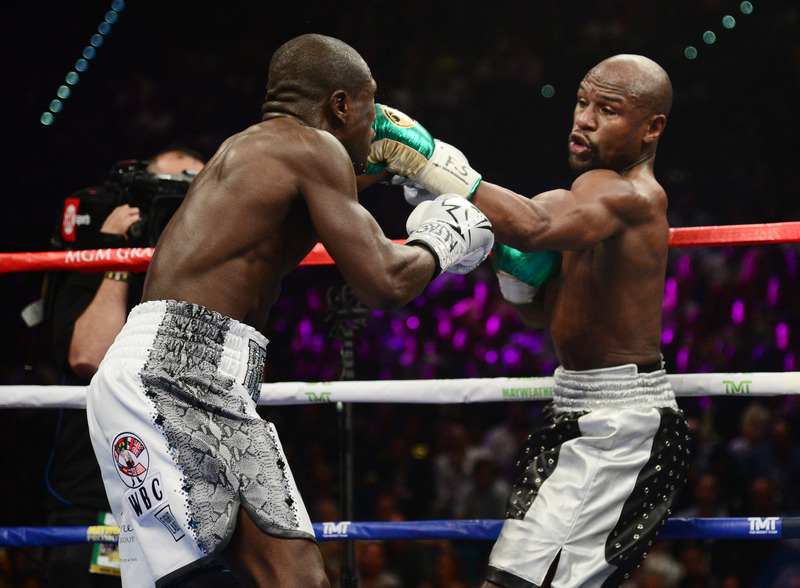 What’s more, Mayweather, now in his fifth decade, has only boxed throughout his long, undefeated career. Perhaps even more telling, however, is the fact that – unlike McGregor – Khabib doesn’t employ a style similar to boxing in the MMA octagon. Within the cage, the Russian is regarded as a world class wrestler, possessing an impressive skill set which might not lend itself well to the boxing ring. Although he suggested boxing doesn’t allow combatants to engage in “a real fight,” White himself is interested in getting into the boxing business. “Yeah, we’re getting into boxing 100%, for sure,” he told TMZ. “I’m not diving in head first; I’m dipping my toe in.” With that in mind, TMZ reports that “Floyd has said he’s 70% certain the two sides will get a deal done to box — he expects to make a 9-FIGURE CHECK if it comes to fruition.” Other fighters have been mentioned as potential Mayweather opponents, though – including McGregor (again) and Mayweather arch rival Manny Pacquiao. Pacquiao, in particular, looks as if he might be particularly keen on a rematch of his record breaking 2015 fight with Mayweather. How Many Older Boxing Fans Have Switched to MMA-UFC? At age 74 this writer has been a boxing fan since at age 8 watching the rematch between then World Heavyweight Champion Rocky Marciano and the former champion “Jersey” Joe Walcott on TV with my dad. I’ve watched many changes especially in boxing. The then great trainers didn’t always pass down their knowledge possibly in fear of losing a fighter they trained. Trainers are in a position where “they do not have a contract with a boxer” as the manager does so there is little protection. You lose a fight today and the boxer changes trainers as if it were the fault of the trainer and not the boxers. At an early age I loved watching professional wrestling. Several of my favorites were Argentina Rocca and Haystacks Calhoun. With age I realized the results in wrestling was known prior to the match. I was told by one who was involved in wrestling a “blood capsule” was placed in the mouth of a wrestler and when “hit” the blood from the capsule looked like real blood coming out. Granted, they had to be in good enough condition to take the tumbles and falls they did. In time I grew out of watching wrestling though once watching high school wrestling at state championships in Pennsylvania with three events going on at once I knew that at that level let alone college it was really a tough sport. That is probably where some of the better MMA-UFC fighters have an advantage today. We now live in a “blood thirsty” society that the more violence the better for the say 20 to 50 crowd enjoy the more blood and violence the better! I don’t even want to get into the NFL’s violence. Do they test for steroids? So as more American men today rather choose playing a team sport where they can make plenty of money without having to take all the “blame” whereas unless it’s a last play failing the team takes the blame for the loss not the individual as in boxing it’s “safer!” Today in boxing you have some of the best P4P boxers coming from Eastern Europe where they come to the United States “hungry” like the Americans did say in the 50’s and 60’s they have great success. The Ukraine’s Vasyl “Hi-Tech” Lomachenko and Kazakhstan’s Gennady “GGG” Golovkin are great examples of that today. So along comes MMA-UFC and I can’t believe how the fan’s go crazy for the violence as they do for American football where the injuries are horrific. A quarterback literally takes his life into his hands waiting to be crushed by a 250 pound “monster” hitting him from the-blindside! I couldn’t believe it when while serving in the Army in the mid 60’s when NY Jet quarterback Joe Namath claimed he couldn’t go in because of “bad knees!” Bad knees? How dangerous would it have been getting inducted and probably leading recruits into calisthenics? You think the greats like Joe “The Brown Bomber” and “Sugar” Ray Robinson were put into combat while serving during World War II? The Gracie family has brought their development of Brazilian jiu-jitsu into Mixed Martial Arts and made their mark! From this writers point of view I see two guys wrestling to the ground as in a street fight with one on top of the other smashing his face into submission and think “such brutality”. There are skills I don’t watch long enough to pick up on. At least in boxing it is against the rules of “hitting below the belt”. Now there seems to be a resurgence coming in Bare Knuckle Boxing. Top unbeaten BKB fighter Bobby Gunn once told me “it’s not as brutal as boxing” because one punch usually can end it much sooner than taking a beating over ten rounds with boxing gloves on. To make long story by now not so short for someone over 60 getting the thrill watching MMA-UFC as one would seeing for example the first Marciano-Walcott fight when the challenger was well behind going into the thirteenth round and pulls out by way of knockout is second to none! This post is a message to all new boxing fans that found themselves interested in the Mayweather McGregor fight. You are no doubt here and reading this post due to your newfound interest in the sport of boxing through the recent McGregor spectacle. I would just like to say welcome to this wonderful sport that so many of us live and breathe on a daily and nightly basis. May boxing give you as many moments of total exuberance and utter despair as it’s served all of us boxing fans over the years. The answer is that, fight aside, we had two marketing geniuses in one ring at the same time, who’s ability to sell a fight is beyond anything we have seen on this planet in recent times. 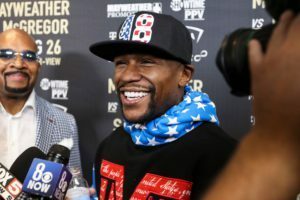 Mayweather’s PPV history tells us everything we could ever know about his business and marketing skills, as he has repeatedly taken on the most powerful promotion companies in the business and won. McGregors marketing must be applauded also as he stands at the top of the MMA game. 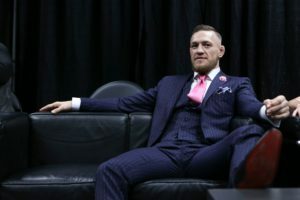 His performances in interviews and press conferences aside… the working class kid from Ireland who through hard work and the ‘law of attraction’, has embedded the practice of modern day spiritual teachers into his formula for success as a megastar in mixed martial arts. The guy, in every single way, is a promoters dream come true. However, marketing is marketing and spirituality is spirituality. As we saw on Saturday, neither of these things can quite swing it for you when you’re fighting Floyd Mayweather in a boxing match. And, on another ‘however’, as a new boxing fan whose interest in the sport has come from Saturday’s event, there are some upcoming events in the boxing world that you must know about. I must confess, during the Mayweather McGregor fight, I too found myself with an elevated heart rate, legs twitching and a feeling of overwhelming excitement and anticipation that I could not seem to control. This came not from the event, but from the realization that Canelo vs GGG will be on our screens in exactly three weeks from that moment. I asked Golovkin this very question at the NYC presser on June 26th, and he was quick to shut it down by replying “Sparring is sparring, this is fight, is not the same”. This fight is one that boxing fans have been waiting on for years, one with a very different marketing strategy to that which we’ve just seen, for nothing needs to be said from either party in order to sell this upcoming war. No soap opera press conferences, no playground styled trash talk and little to no correlation to the annual promotion of ‘Wrestlemania’. The only form of promotion required for this event is the occasional piece of leaked footage of either man in camp, which in turn, sends shivers through the body of the boxing fan. 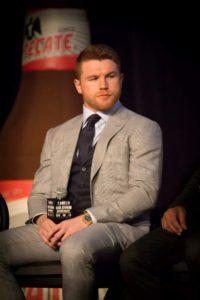 You have no doubt heard the rumors spread by those who have contracted the virus commonly known as ‘boxing expert syndrome’, as to why “Canelo destroys Golovkin” or why “GGG is going to smash Canelo”. The reality is, as any boxing fan who has followed the professional careers of these two will tell you, there is absolutely no way of knowing who wins this fight. Golovkin. The knockout artist and one of the most feared fighters of his generation, who on closer inspection won a points decision by a single round earlier this year against Danny Jacobs and did not hurt him in the process. You can’t help but wonder, at 35, has age finally caught up with GGG? Does he still posses the devastating power and pinpoint accuracy that demolished the likes of David Lemieux? Canelo has looked nothing short of lethal in camp for this fight in sharpening his power punches. But remember, in May this year he threw all of this and the kitchen sink for all 12 rounds at Chavez Jr, who barely waved a finger back at him and took everything that Canelo could throw. So we must wonder, does Canelo’s power really carry at 160 and above? And second to this, can he be quick enough on his feet to deal with the continual pressure and cutting off of the ring that GGG will no doubt bring? Will the previous events in sparring between the two play any precedence in their phycology on fight night? It has been rumored for some time that GGG got the better of Canelo when they sparred a few years back. 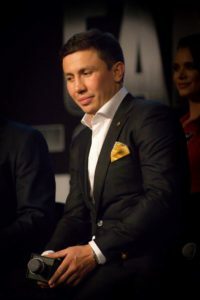 I asked Golovkin this very question at the NYC presser on June 26th, and he was quick to shut it down by replying, “Sparring is sparring, this is fight, is not the same”. As always, the Kazakh was humble in his broken English and reluctant to give anything away. If you’ve only recently become interested in boxing, you are lucky to have gotten into it at this moment right now. What happens on Mexican independence day, September 16th will unlikely be anything other than an all out war, with the winner in contention as the pound for pound number 1 in the world. In fact, with Lomachenko vs Rigondeoux rumored to have been booked, Anthony Joshua on a mission to unify the heavyweight division and the super middleweight and Cruiserweight ‘Super Series’ immanent, there have been fewer better times to get in to boxing than right now. With almost every weight division within the sport having its own stars worthy of selling pay-per-view fights, boxing is currently on fire compared to the state of it in recent times. Welcome aboard, new boxing fans. Please take your seat, buckle up and prepare for the inevitable turbulence that we’ll encounter on September 16th and beyond. P.S. If you’re an MMA fan with a newly found passion for boxing, try not to take Oscar De-La-Hoya’s spiteful words to heart. He didn’t mean it; he’s just trying to sell his fight, that’s all. Math. That’s right, math. I saw a comment thread the other night where several people were actually figuring out how much Canelo Alvarez earned in his pay per view fight against Liam Smith by doing math for the benefit of readers. This, my friends, is what happens when there are no major fights coming up week after week. Boxing’s new breed of fan just runs wild. Indeed, this is a perfect month for the new breeds because there isn’t much actual boxing going on. New breeds, after all, seem to appreciate the business of boxing more than they do the sport itself. 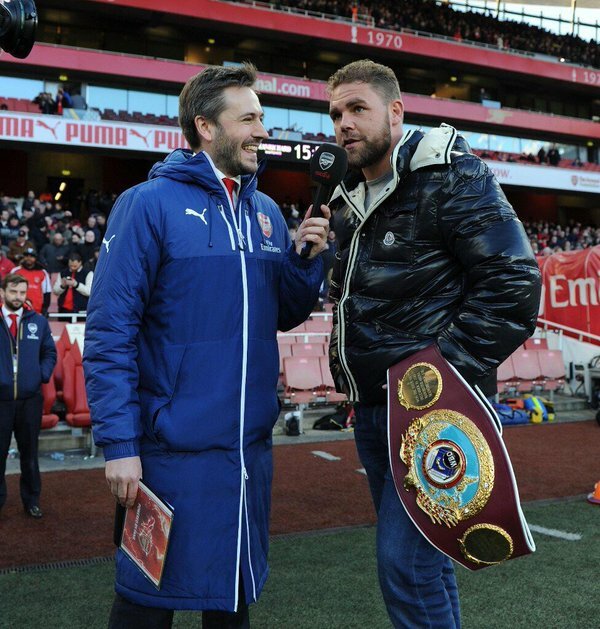 Indeed, a new breed can go on indefinitely discussing how, say, Billy Joe Saunders can make respectable money without having to actually risk getting his clock cleaned. That’s just the sort of activity a new breed would be engaged in. While, for instance, a traditional boxing fan is excited about the upcoming Kovalev-Ward matchup, a new breed is excited about figuring out how much Adonis Stevenson can still make if he avoids the winner. Needless to say, this sort of nonsense sickens traditional fans to no end, but promoters (and advisers) undoubtedly love it. After all, when there’s a significant fan base – and, make no mistake about it, the new breeds are numerous – willing to support Danny Garcia for taking on a person no one’s heard of, the money people are very happy indeed. Why? Because the fighters they cash in on can reap rewards without any real risk of losing. In other words, the cash keeps flowing and the new breeds remain happy. Here’s the thing, though – more and more people in America are turning away from the sweet science. It’s already marginalized, and now it’s becoming even more so. And, really, who can blame people for turning their backs on boxing during times like this? While this author clearly believes boxing will eventually regain its health, not everyone is so patient. What’s more, there’s things like UFC for fans of combat sports to engage in. Even those who like boxing better than MMA are willing to watch people fight in an octagon if the best is facing the best. The problem here is that the new breeds are on their way to becoming one of boxing’s few remaining fan bases. And, after pushing everyone else away, there’s simply not enough of them to keep boxing lucrative. The new breeds may be numerous, but they’re not that numerous. Just how many of these people are there? I think we’ll be able to get an idea this November, when Danny Garcia fights the obscure Samuel Vargas on Spike the same night UFC stars Conor McGregor and Eddie Alvarez meet in a major pay per view event. We’ll find out who tunes in to watch Garcia earn what should be an easy paycheck. The numbers should be interesting. While watching cable news tonight I saw a well-known member of congress answer some tough questions. Only he didn’t directly answer. He meandered. He obfuscated. He acted like the smartest person in the room, the person who we should all just leave alone, since it was he, not us, who knew what to do. So help me, the guy reminded me of a lot of people in the world of boxing today. All he needed to do was say “this match needs to marinate a bit” and he’d be in line to make a series of pay per view bouts. All of this, of course, leads to a larger issue. Boxing clearly looks like it needs a single ruling body of some sort. The United States’ Government might, in a sane era, seem like a perfect choice to act as that ruling body – at least as far as stateside activities are concerned. Sadly, however, this is not a sane era. Not to engage in hyperbole, but American elected officials from both parties are, as a whole, about as fit to run boxing as the much maligned organizational bodies have proven to be. This has nothing to do with politics, actually…or even corruption. Our contemporary leaders just aren’t competent enough to instill any sense of real trust these days. What then, can be done? I’m not always in agreement with Yahoo Sports’ Kevin Iole, but he penned a brilliant article recently on the state of contemporary boxing. Too much time is spent in the courtroom, he argues, and not enough time is spent making matches most fans want to see. Iole is dead on here. The powers that be appear interested in everything but what the diehard fans want. Even as boxing becomes less and less popular in America these individuals still refuse to change their ways. Sure enough, boxing’s new breed of fan, which is interested in fighter’s earnings rather than in genuine ring achievement (you can find its members in comments sections throughout the internet), might be ubiquitous enough to keep matchmaker’s bank accounts at least somewhat healthy. Why these new breed fans would rather see, say, Garcia-Salka (content, I suppose, in the knowledge that Danny will earn an easy and sizable check), than they would Canelo-GGG is beyond me. These fans are out there, though, and I suspect they’re at least part of the reason boxing continues on its less than healthy trajectory. The irony, as Iole points out in his piece, is that boxing could be much more lucrative if the fan base at large was catered to. The UFC may, with the help of the media, hype certain white combatants to an unwarranted degree, but at least it appeals to its customers. With the new breeds willing to accept pretty much anything (except perversely, good matchmaking with reasonable pricetags), things may keep coughing along in boxing just as they are at the moment. Too bad. There’s a lot of talent out there right now just waiting to be challenged.